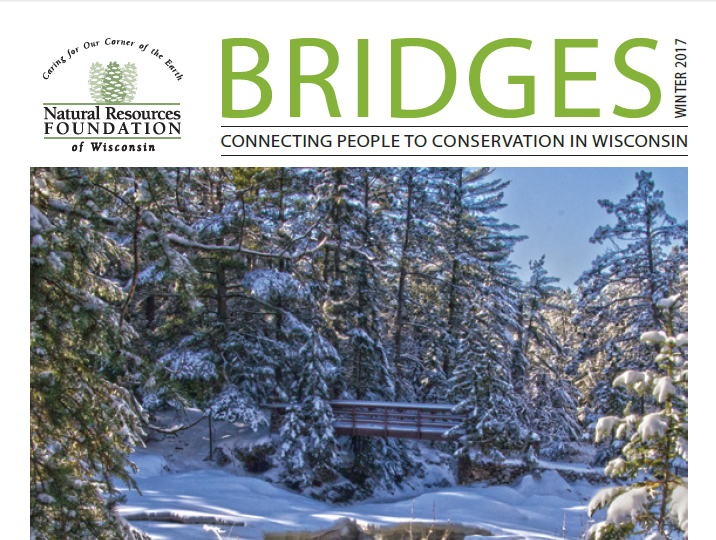 Bridges member magazine is complimentary for all members of the Natural Resources Foundation and is published three times a year in spring, summer, and winter. Each issue focuses on one of our priority impact areas: public lands, wildlife, and education. 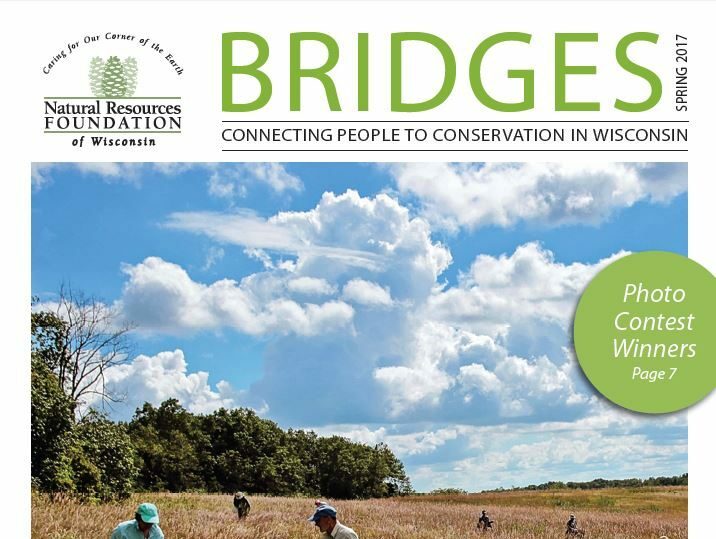 This issue highlights the breadth of great work the Foundation is doing to support the wildlife, waters, and lands of Wisconsin. We tell the story of several beneficiaries of Foundation grants or funding and thank our many campaign contributors. In this issue you’ll learn about a complex and critical restoration project at the Kenosha Dunes Unit of Chiwaukee Prairie State Natural Area, you’ll read a first-hand account of how volunteering with restoration projects renews the land and the soul, and learn how one couple’s commitment to accessibility is making our state parks places that can be enjoyed and explored by all. This is our rare and endangered species issue. Read about our commitment to the next 100 years of bird conservation, the plight of the endangered massasauga rattlesnake, and catch our 2017 Annual Report. In this issue we cover our new environmental education initiatives, celebrate 25 years of our Field Trips program, and Board Member Mark LaBarbera shares a story about his mother’s spring fishing tradition. Read the full issue below. Click the center of the cover image to expand to full screen for best viewing. In this issue: New Fund Dedicated to Amphibians and Reptiles, 2016 Annual Report, Family Honors Father by Saving Bluebirds, and more. In this issue: Remembering Peg Mallery, Landscape-level Conservation, Cherish Fund Makes Historic First Grant, and more. 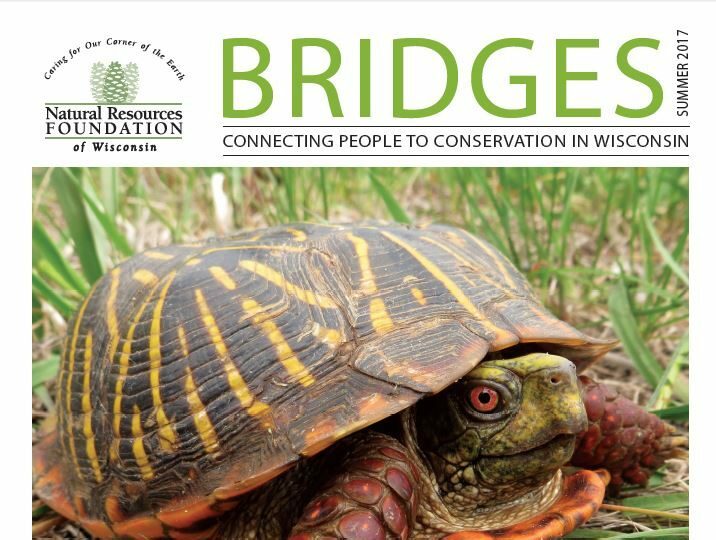 In this issue: Cultivating a Conservation Ethic, Become a Master Naturalist, First Grade Students Share What They Love About Wisconsin, and more. 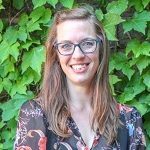 Kelly supports the Foundation’s communications and media relations projects and is also filling in as Interim Office Manager while Emily is on maternity leave.